I’ve just come back from a brief vacation to Paris and Berlin–I rarely vacation, so upon returning I’ve regaled everyone I’ve spoken to with the dreadfully banal, I-see-the-world-anew!-type minutiae familiar to anyone who has attended college and encountered–in the words of one friend tired of my anecdotes–“that annoying kid who studies abroad for a semester and then starts rolling his own cigarettes.” Well in Berlin we don’t take that kind of negativity! In Berlin everything is magical and wonderful and cheap! Berlin ist great! Really: you must go to Berlin. Blah blah blah (something about Berlin). In either case chances are I have never met you, and thus all of my minutiae may seem new and exciting. During my travels I maintained two running tallies. 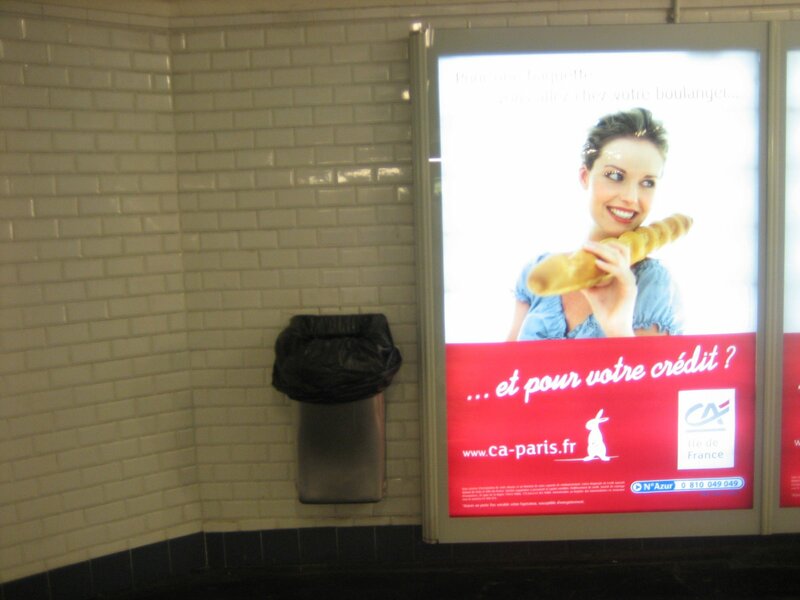 In Paris: how many people actually walk around carrying baguettes? The answer was 71 over 4 days. There was a related question about mimes, but unfortunately I saw none. In Berlin: how many people were actually doing things NOT damaging to their health? The answer was three–one man was jogging (I’ve never seen someone so out of place in a city), one girl was carrying a sack of granola (presumably back to her anarcho-vegan-hippie-minimal techno collective) and one guy–yes: ONE–was carrying a bottle of water rather than beer. The high cost of living in Paris is a constant buzzkill. Visiting the city for the first time taught me one thing, besides the baguette thing: everyone reads the New York Times. –Hey did you read that steak frites piece in the Times? –Dude I’m going to forward you this steak frites guide, I think it was in the Times! –Oh man, Paris! You MUST go and eat steak frites–I read an article about it in the Times. So I ate steak frites, but not at one of the Times-approved places, rather at a “place the Times piece forgot about,” according to the Interweb. It had AUBAC somewhere in the name, and it was off the Champs-Elysees, which I now know is merely a wide street. I was originally going to take pictures but I felt self-conscious about photographing food at a restaurant that resembled a tarted-up T.G.I.Fridays (insert: Merci Dieu C’est Vendredi! joke). It was truly odd eating foie gras, as inhumane as it is delicious, whilst surrounded by pastels of skiiers, Soundgarden on the sound system and a flatscreen TV broadcasting a looped movie of cows being raised and evaluated (what could be less appetizing?). Steak frites may have been common in Paris, but the macarons were a thing of rare beauty. 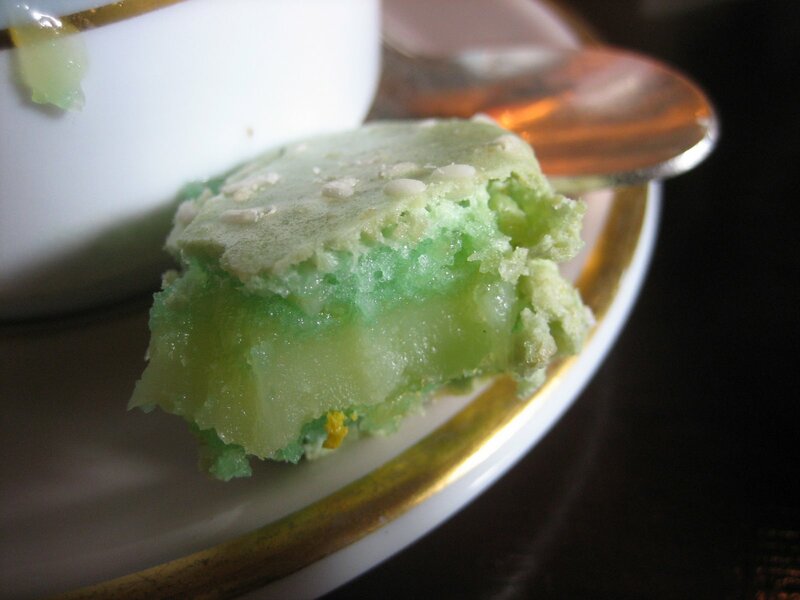 Not to be confused with macaroons–the stringy little plops of coconut available at most pastry shops, or in plastic tubs–the French macaron is like a divine little cookie sandwich consisting of meringue-like halves and a light, creamy filling. Like I knew any of this beforehand. I think these are pistachio (incredible), mint (incredible–and limited edition), lemon (incredible) and caramel with salt (incredible). There was one which carried the aroma of rose. Orange blossom was INCREDIBLE. Vanilla and grenadine–consumed with foie gras and a grenadine glaze–were INCROYABLE. 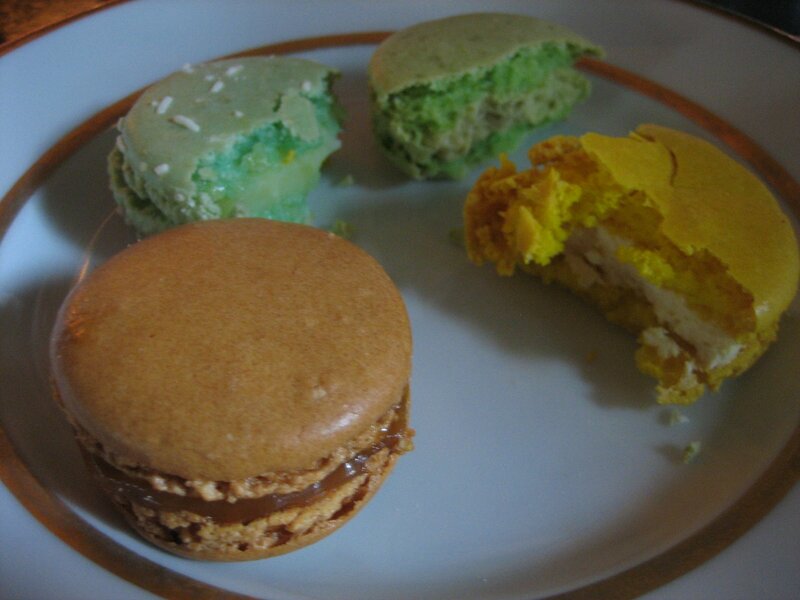 Also in the photo you can see the teacup is tearing up at how good that macaron is. Here are some places in New York that serve macarons. I mean here. Other highlights in Paris included L’as du Falafel, which I just noticed has been covered by the Times as well. Upon Bite #2, I cannot imagine being satisfied by another falafel ever again (foreshadowing: this was before going to Berlin…). The thick pita–usually a turn-off–was necessary, since the pocket was filled with falafel balls, hummus, pickled red cabbage, eggplant, roasted potatoes and some spicy harissa. It was so good I nearly decided to start listening to fellow traveler Lenny Kravitz’s awful music! 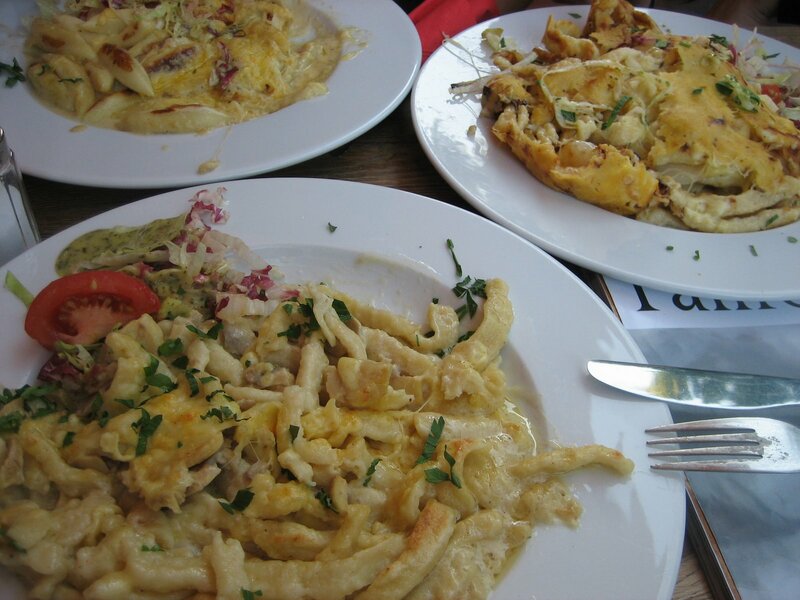 The food in Berlin was surprisingly great, though nothing made me want to listen to Lenny Kravitz. 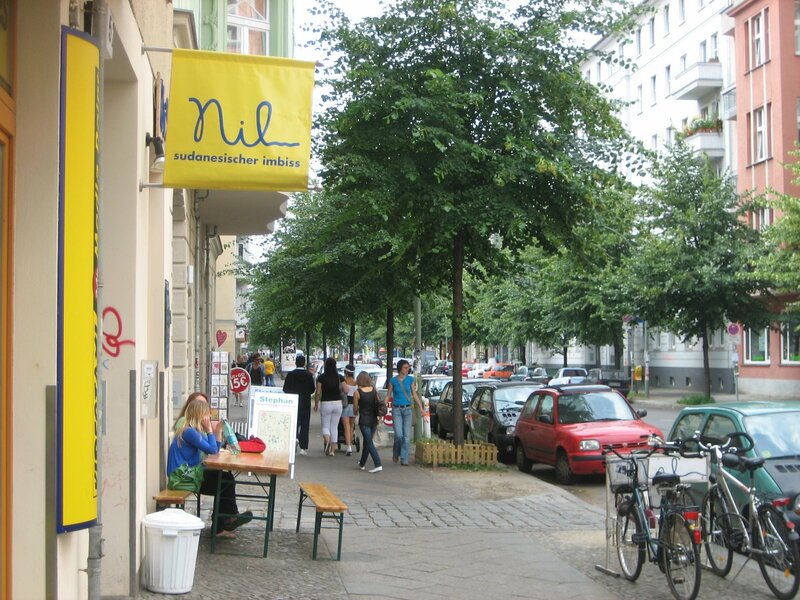 A favorite was Nil, a Sudanese place in Kreuzberg. Their falafels and lamb sandwiches are quite excellent. The secret: peanut sauce in everything. I would have taken a photograph of the food, but I had just been chastised by the lady behind the counter for using the bathroom. Apparently in Berlin–a more or less lawless city where (1) clubs stay open “until Monday”; (2) cops apologize to you if you swear at them; (3) graffiti is on every surface everywhere; (4) drinking beer and smoking pot in public are tolerated; (5) trains are free because nobody cares to check your ticket–you need to ask before you use the bathroom. Well excuse me for not knowing German (the national language, actually) and arrogantly walking right past the “DO NOT USE THE BATHROOM” sign. Everyone in this picture is drunk, on drugs or listens to electro. Insofar as an “illegal ping pong bar” can be unpretentious, this place was. Note the skill: one guy hits sans paddle, another smacks it without dropping a lick of beer. But this has nothing to do with food. 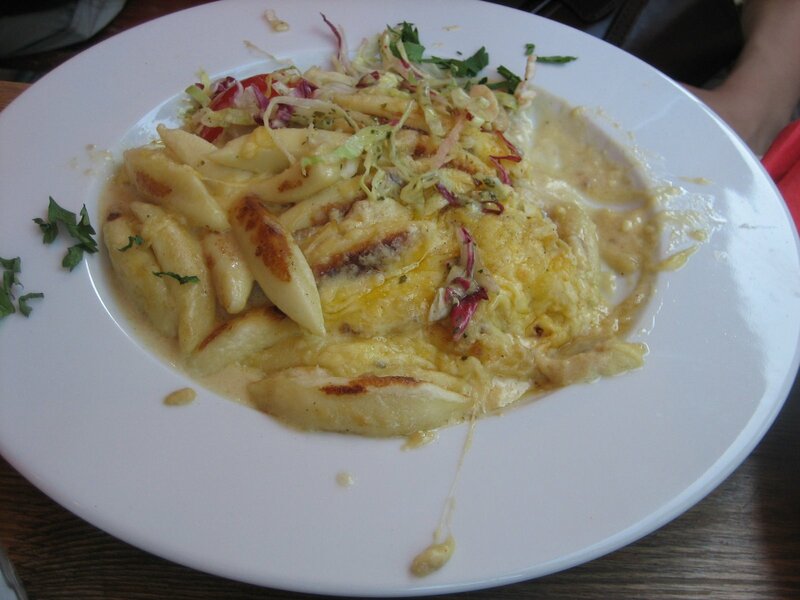 The only “authentically German” thing I ate was Spätzle, which reduces to “noodles bathing in cheese and butter.” Not a bad thing but not exactly a taste that grows more rewarding with each new bite. We bought three kinds and shared. All I remember–did I mention that Berlin is a lawless, vice-filled city?–is that each featured cheese in a starring turn. One of them had a weird baked top, and one featured noodles that looked like they had been grilled. Some looked like gnarled, oldster fingers; others looked like slender and symmetrical pod-like spaceships. The first few bites were terrific, but after a while the taste can grow tedious. It’s best to share and to make good progress before things start congealing. While eating Spatzle, this bemused German dude next to us encouraged us to try Currywurst. Wikipedia: Currywurst is a typical German take-away dish, a hot pork sausage cut into slices and seasoned with ketchup and generous amounts of curry powder. One among us remarked that Currywurst sounded like probably the most disgusting thing ever. Another among us seconded that. And the German guy took a drag from his cigarette and said, “Do not be so narrow.” He punctuated this by putting his hands close together, in case we were not familiar with the concept of narrowness. Perhaps he realized that Currywurst does, indeed, sound like one of the most disgusting things ever, as he changed the topic. “Have you eaten doner kebab?” We had–our favorite was a place called Bagdad, where they smother the fries in this creamy garlic sauce and kids in tight jeans throw electro parties. “I have been here all year,” the second among us explained. We were not new here. “In that case,” he laughed, “the question becomes how many kebabs you have had to eat!” And with that he rolled up his copy of German GQ, strapped on his shoulder bag and was off–presumably to do drugs or drink in public or ride the train without paying or regale his friends with banal minutiae about three Americans he met at the Spatzle spot.